I have to say, I just came across this custom branch of Blender and it’s astonishingly good. 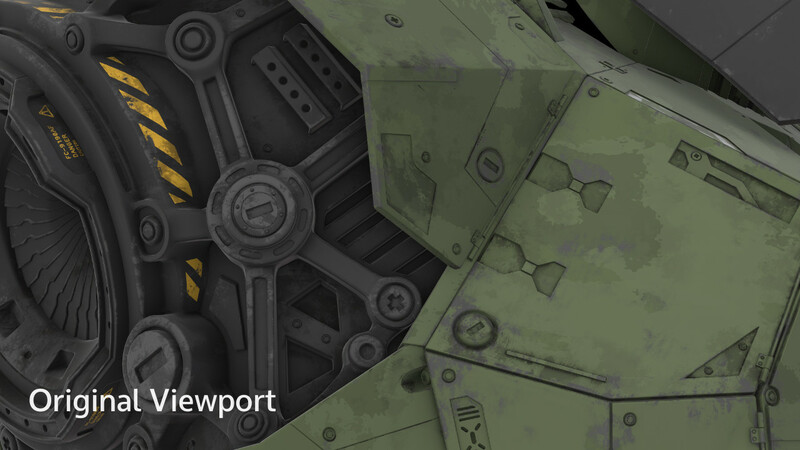 In addition to a number of improvements to viewport lighting, this Blender branch actually brings PBR (Physically Based Rendering) to the Blender viewport. To really appreciate what has been accomplished here, you really need to check out the video. 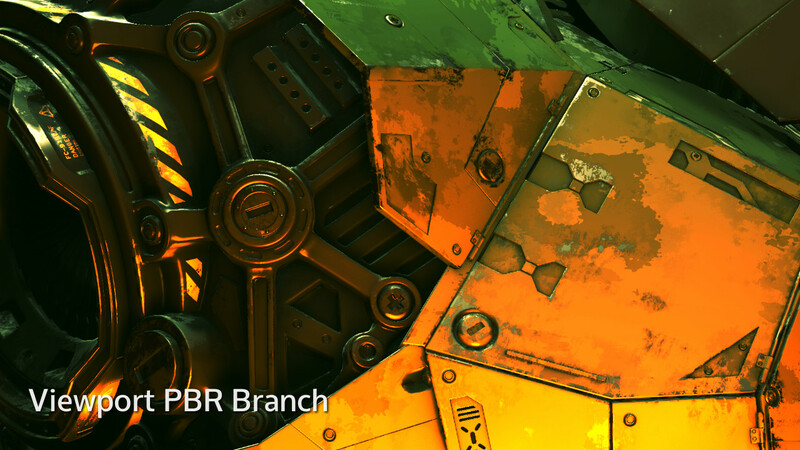 Blender PBR viewport Branch v0.2 from Clément FOUCAULT on Vimeo. You can also see a direct before and after shot below! This is truly some impressive work. It is available on the Author's website. By the way, he is looking for work in the GameDev field... someone hire this guy! This story coming care of /r/gamedev, BDX released version 0.2.3. BDX is a game engine hosted inside Blender using LibGDX and Java for game programming. Essentially it enables you to define and create your game in Blender, including complete physics integration, while generating LibGDX code. I did a pretty in-depth tutorial on working with BDX a while back. Per-pixel sun, point, and spot lighting. As it was before, you can simply create the lights in Blender to have them show up in-game, or spawn them during play. Ability to turn off per-pixel lighting for lower-spec targeted platforms and devices. GameObjects can now switch the materials used on their mesh. You can specify the name of a material available in the scene in Blender, or you can directly provide a LibGDX material to use, in case you have one custom-made. Various fixes and QOL improvements. Check it out! We could always use some more feedback and testing. It’s a cool project and if you are working in Blender and LibGDX is certainly something you should check out! PBR, Physically-Based Rendering, is the new hotness in the CG world, especially with the increasing popular of Substance Painter. The end result of that process is a number of textures specifically for channels such as Roughness, Metallic, etc. Taking the results from Substance to Blender however hasn’t always been the easiest. Now there exists a plugin for easily consuming PBR textures in Blender using the Cycles renderer. Easy PBR right inside Cycles! With the rise of PBR in the AAA game industry and Allegorithmic’s wildly popular Substance toolset, it’s about time someone created a simple solution for implementing PBR textures inside of Blender. Finally, no more fiddling for hours with material nodes trying to vaguely make something that looks good. Now there’s one solution that gets it right every time and in every lighting condition! Liberate yourself as an artist to focus on your art! While not free, it does cost less than 5$.